Trees are a great addition to any landscape. They will add curb appeal to your home and therefore increase the value of your property. They provide shade and act as windbreakers that protect your property from the damaging effects of strong winds. There are clearly many benefits to having trees on your property. 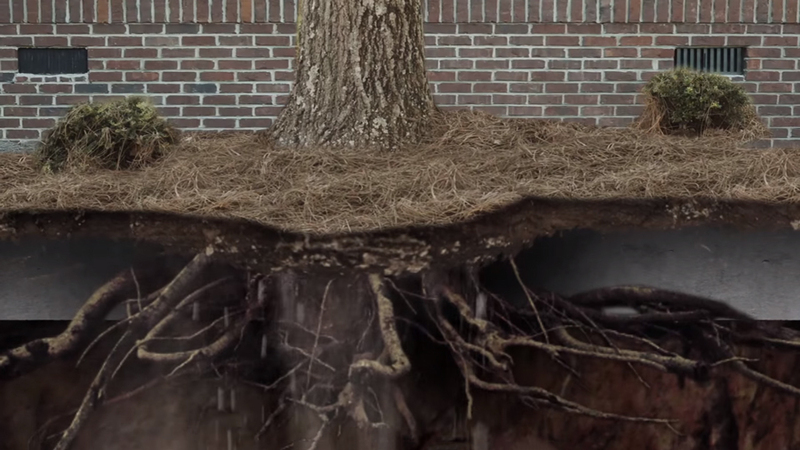 However, if you have a crawl space, you should be concerned about the impact that the roots of trees growing near your foundation will have on crawlspace waterproofing. These are small and fibrous. They spread out to absorb minerals and water from the soil. Although these roots seem small and weak, they can cause havoc if they find their way into your crawl space. These are the large roots that anchor the tree into the ground. They grow from the base of the tree horizontally into the soil. They offer a strong foundation for the tree. They can however destroy a crawl space when allowed to grow in it. When roots enter a crawl space, they can penetrate the weak points of the foundation walls. This is common when the foundation walls are made of blocks with mortar joints. The weak mortar joints will crumble, resulting in weak walls that can collapse in time. Roots can penetrate the crawl space and create points through which water can enter the crawl space. This results in water damage within the crawl space and the home above. Roots can also create entry points in the crawl space for pests. This will lead to a pest infestation of the crawl space and the home. If you’re considering crawlspace waterproofing, it’s important to consider the trees that are growing near your home. An expert waterproofing contractor will inspect the trees and their roots to determine the level of damage they can cause to your crawl space. They will advise you on what can be done to prevent damage or repair damage that has already been done. This may include cutting down the tree or simply cutting the roots of the tree that have grown in the direction of the crawl space. Be sure to get in touch with a professional when you need waterproofing services.